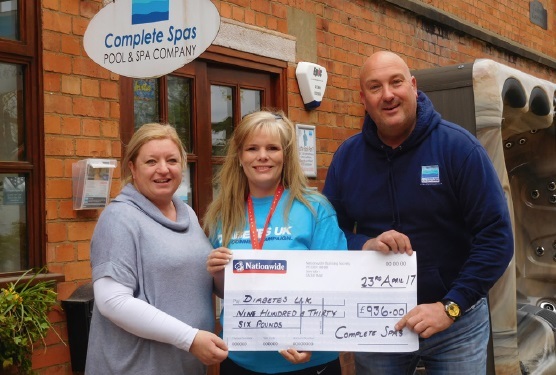 Hard work and determination has proven to be a winning formula for the husband and wife team behind Complete Spas. Celebrating their tenth year of trading this year, Pete and Rachel Grinnall started selling hot tubs and swim spas in the summer of 2007, just as the last recession began to take hold. Not afraid of a challenge, the idea for the business came about after the entrepreneurial pair tried to upgrade their ‘spa in a box’ that they had owned for two years, to a ‘proper’ hot tub. With £5,000 in cash in their pocket Pete and Rachel visited three local retailers with a view to purchase a hard shell tub, but unfortunately no one seemed interested in selling them one for less than £8,000. Based in Worcestershire, Complete Spas specialises in all areas of spa retailing including, service and repair, hot tub hire, holiday hot tubs and commercial spas.